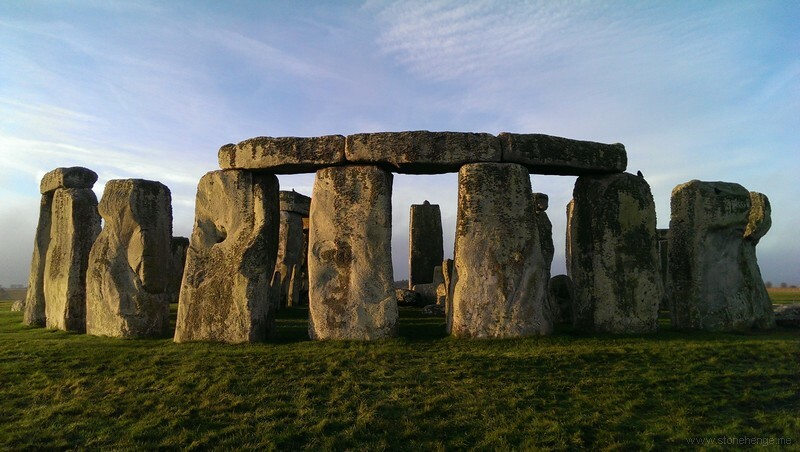 www.Sarsen.org: How Many Stones or Rocks Does Stonehenge Have? Though 21 of the stones have been manipulated in one way or another during the three restoration projects, according to an admittedly sketchy historical record, nothing at Stonehenge has been robbed within at least the last 500 years or so. While 40% of the Stones are missing, the greatest bulk of these have been the smallest of them. Only five of the outer Sarsen orthostats are gone altogether and none of the Trilithons or their lintels are absent. I believe only the uprights which had previously fallen were robbed, this being the path of least resistance. The same earthquake that I suspect brought down S-55 no doubt caused the collapse of others. Several of these are only remnants; evidence of easy picking. S-8, -9, -15 and -19 are the examples. Intact S-12 and -25 likely fell after the robbing period, while the slow recline of -14 is actually chronicled in several pieces of artwork from the 17th and 18th centuries. None of the standers in the northeast are missing or broken, and while this might be due to difficulty in destroying them, we know that those in the southwest were of less quality and, having shallow sockets, more readily succumbed to the ravages of time. Lintels scattered by fallen uprights could be collected without too much fuss, while the balance of situated lintels could have been brought down by a team of stout draft horses and good rope. Personally, I think the Romans did it. They broke up those that had fallen, plus a few lintels and Blues, then carted the rubble off to some distant, mundane venue that's now lost to the mists of time. "Personally, I think the Romans did it." My money is on ISIS or those damn Victorians with their hired hammers? ISIS would use C-4, yes -- but good luck blowing up Sarsen. I was always appalled by the thought of a local cottage industry renting steel chisels to bored day-trippers for carving their names into the ages. But after searching the record it turns out that the colorful tale is apocryphal. There's no real evidence that this was the case. Though obviously steel chisels were used extensively through the years, there was no 'vendor's stall', so to speak, for some local to make a few lucky-bucks. You could be right Neil! But HANSARD 1803–2005 → 20 December 1976 → Commons Sitting → ORDERS OF THE DAY A speech by the Local MP (Mr. Michael Hamilton) may shed some light on the reasons for the destruction and removal? "In the last century my constituents hired out hammers to visitors to facilitate their task. We all have to live. I see my hon. 160 Friend the Member for Stretford (Mr. Churchill) smiling. It is a fact that wages in Wiltshire have always been below the national average. If visitors were too idle to chip away the pieces for themselves, instead they could buy pieces for mementos. Moreover, at this time of the year severe storms sweep across Salisbury Plain. It was on 3rd January 1797 that one of the finest stone arches—trilithons, as they are called—fell. When one trilithon falls, as with a plantation of trees the pressures on the remainder increase. On New Year's Eve of 1900 another trilithon fell. It must be said, if only in fairness to those prehistoric builders, that a contributory cause of these falls has been digging by treasure hunters in the past too close to their foundations." This is recently back up by a book 'The Stonehenge Letters' which suggests that "for two more shillings a day, guests could also hire hammers and chisles from the White Hart. It would appear that the hotel was still 'encouraging' those visiting Stonehenge to return from their outing with a small stone as a souvenir"